Ion channels are transmembrane proteins and represent important cellular components that connect the inside of the cell to its outside in a selective fashion. The linear ion channel peptide gramicidin serves as an excellent prototype for monitoring the organization, dynamics and function of membrane-spanning channels due to a variety of reasons. The fluorescent tryptophan residues in gramicidin channels are crucial for establishing and maintaining the structure and function of the channel in the membrane bilayer. 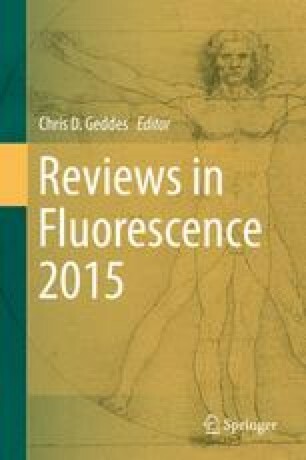 In this review, we have highlighted a variety of representative fluorescence-based approaches to gain molecular insight into gramicidin conformations. Since gramicidin shares common structural features with more complex ion channels, the results from fluorescence-based studies with gramicidin could be relevant for more complex ion channels. Work in A.C.’s laboratory was supported by the Council of Scientific and Industrial Research and Department of Science and Technology (Govt. of India). Ar.C. thanks the Council of Scientific and Industrial Research for the award of a Research Associateship. A.C. is an Adjunct Professor of Tata Institute of Fundamental Research (Mumbai), RMIT university (Melbourne, Australia), Indian Institute of Technology (Kanpur), and Indian Institute of Science Education and Research (Mohali). A.C. gratefully acknowledges J.C. Bose Fellowship (Dept. of Science and Technology, Govt. of India). Some of the work described in this article was carried out by former members of A.C.’s research group whose contributions are gratefully acknowledged. We thank Sreetama Pal for help in making figures, and members of the Chattopadhyay laboratory for critically reading the manuscript.